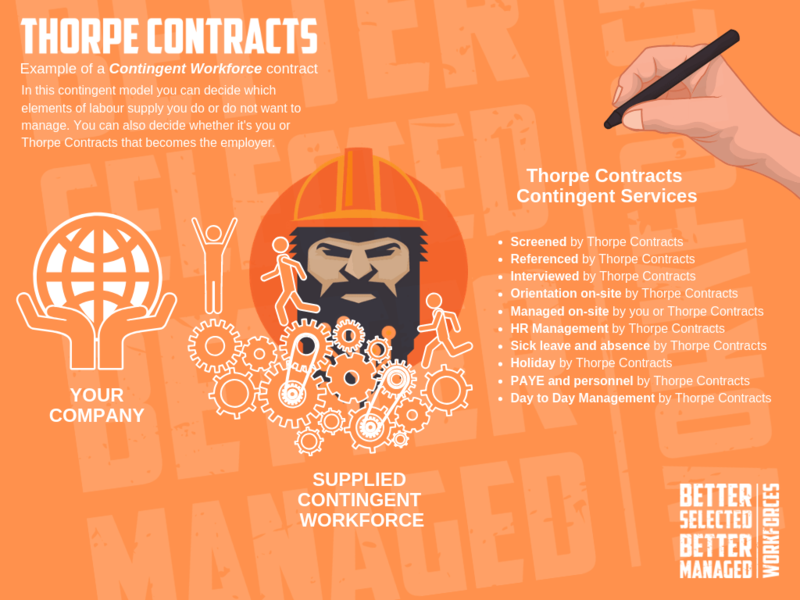 Thorpe Contracts is fluid in terms of how you want to work with us. With our contingent workforce solutions for example, you can literally cherrypick the bits you do or don't want to manage. If you want a presence on site we can do that, equally if you want us to source and then you employ the workforce, we can do that too. There's no restrictions or limits on getting things exactly right for you. Regards Contract Services Projects, give us a brief, and we'll scope, resource, and manage the project in it's entirety. The idea is that in outsourcing to us, we'll take the headache of people, resources and effort away. 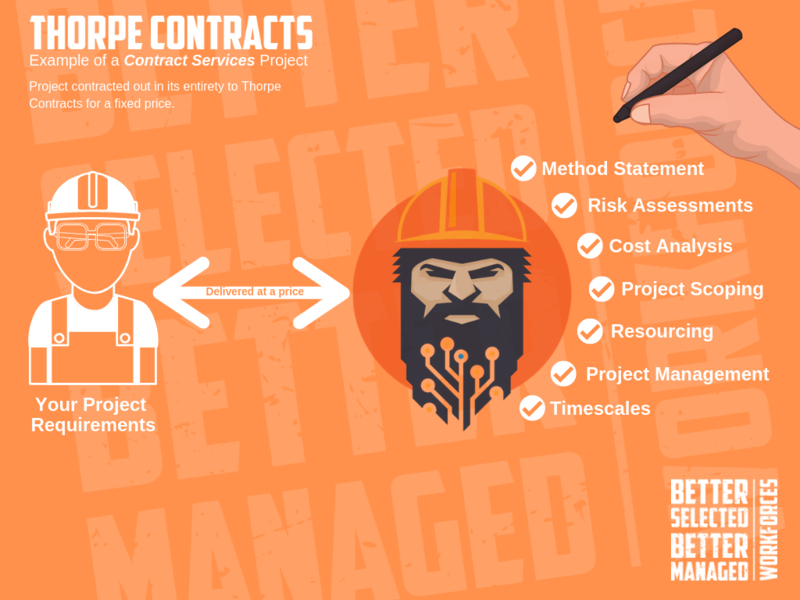 A couple of broad examples are documented below of contingent workforces and Contract Services projects. But remember, we'll work around exactly what you require.